The organiser of the Willow Festival has announced the under-threat music event has been saved - although it is unlikely to go ahead at the Embankment as originally planned. 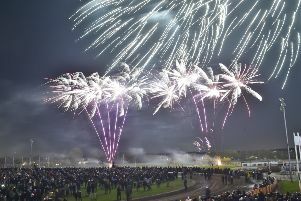 The festival had been under threat following a disagreement between Mr Ringer and Peterborough City Council, who run the Embankment. This week a letter was published by the council listing a number of issues they had with Mr Ringer, and said the festival would not happen at the Embankment. Mr Ringer refuted the claims in the letter, and a petition, signed by thousands of people to save the event, has been set up online. A spokesman for Peterborough City Council said their position had not changed, despite Mr Ringer’s social media post today. The Peterborough Telegraph has tried to contact Mr Ringer regarding the plans for the Willow Festival, but he had been unavailable for comment.